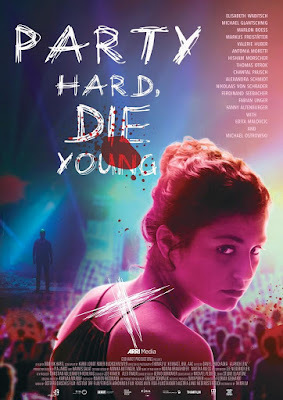 This is a trailer for Party Hard, Die Young. Directed by Dominik Hartl (Attack of the Lederhosen Zombies), the film is an official selection of the 36th Brussels International Fantastic Film Festival (BIFFF). It stars Elisabeth Wabitsch, Michael Glantschnig, and Michael Ostrowski. Check out the synopsis, trailer, and stills below.